This verse from Psalm 23, “thou preparest a table for me in the presence of mine enemies”, comes to life in this news roll story of the Iraqi town of Telskuf, just 20 miles from Mosul, a stronghold of ISIS. 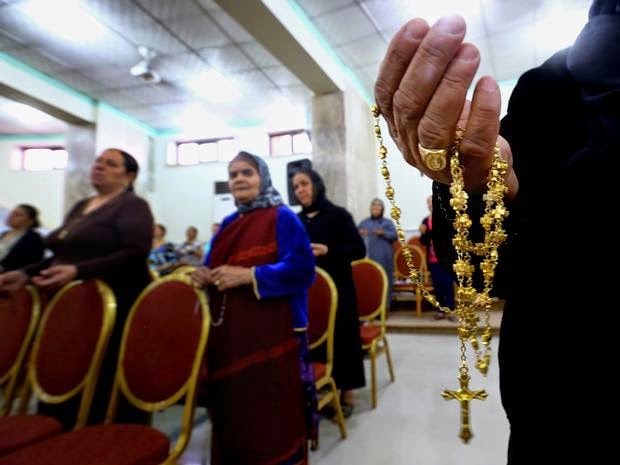 Mass was held in the Saint Georges Chaldean church in spite of the fact that the town is surrounded by Isis militants. That’s a powerful, true story that Christians everywhere could share. Also, a preview of Advent, and the Pope raffles a Fiat!